Each year Mike and I take our annual physical exam with our favorite doctor on Ambergris Caye.Â He sees Dr. Solarzano.Â And I see either Dr. Damera, or Dr. Rodriguez (two women doctors). For a single lab test, here or there, we have them done at the small lab in San Pedro.Â But when itÂs time for the full battery of yearly tests, we head to Belize Medical Associates in Belize City. We have a worldwide BUPA policy with a high deductible of $5000/year.Â Even though I had major hip surgery last year, we still didnÂt hit the deductible ceiling in 2010.Â So, for any normal medical tests, we always end up paying out of pocket.Â Of course, these expenses are deductible if you are an American. Mike and I just returned from our yearly trip to Belize Medical Associates (BMA).Â I thought youÂd be interested to learn what our tests cost here in Belize.Â We are both now well over 50.Â On this trip we both had a rather complete battery of blood and urine tests.Â I had a few other analytical tests as well.Â Then I had two ultrasounds (one was for a mammogram).Â And Mike had 4 x-rays. I would shudder to think what we would pay for the same battery of tests if we had them done in the USA.Â Here in Belize, our bill came in very close to $500 - for both of us!Â Better yet, we took all of the tests in the morning and returned to pick up our results within a day! My comprehensive lab tests total was $213.Â Mike didnÂt take quite as many tests as me.Â His bill for lab tests was only $135. We had to fast after 10 PM the night before.Â So we took the 7 AM flight and high-tailed it to the lab first thing in the morning.Â They open their laboratory and are ready to take blood samples at 7 AM.Â There were only two people in front of us. So we were finished having our blood drawn by 8 AM. After that I had to down about two quarts of water in prep for the abdominal ultrasound.Â That was the hardest part of the day.Â But by 10 AM, IÂd completed both ultrasounds and was ready to leave. Mike didnÂt have an appointment for x-rays.Â But he waltzed right in, completing his series of x-rays by 9:15 AM.Â The x-rays cost $27/each. 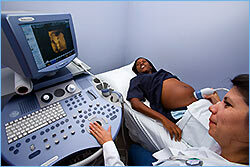 For my two ultrasounds, the doctor took all of the tests herself.Â She pointed things out to me as she was working the equipment.Â I had her complete written report within an hour.Â The cost for two ultrasounds was $115. We stopped at the pharmacy to pick up a prescription. Then we left Belize Medical Associates around 10:30 AM.Â We had plenty of time to run errands before meeting a good friend for lunch at the Tavern on the river. 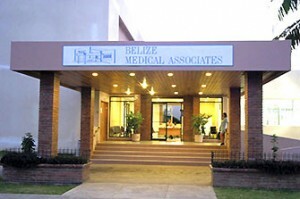 I continue to be impressed by the efficiency, cost effectiveness, and staff competence at Belize Medical Associates.Â They have a large group of specialists on staff.Â So itÂs possible to set up an appointment with a doctor and also have your tests run in the same day. 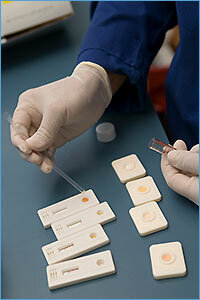 The facility is spotless.Â And all the tests are run there, on site.Â That is quite common in Belize.Â ThatÂs why itÂs common to get your lab results back quickly. So, if you need to have a few tests run while in Belize, donÂt hesitate to do so at one of these facilities.Â It wonÂt set you back that much cash.Â And youÂll get your results the same day.